You'd usually recycle your Chick-fil-A cup before leaving the restaurant, but this holiday season, you may want to hold on to them. Collecting your leftover cups, you and your family can create a holiday wreath (and an entertaining craft for kids) as sweet as our lemonade or as surprising as our Spicy Chicken Sandwich! 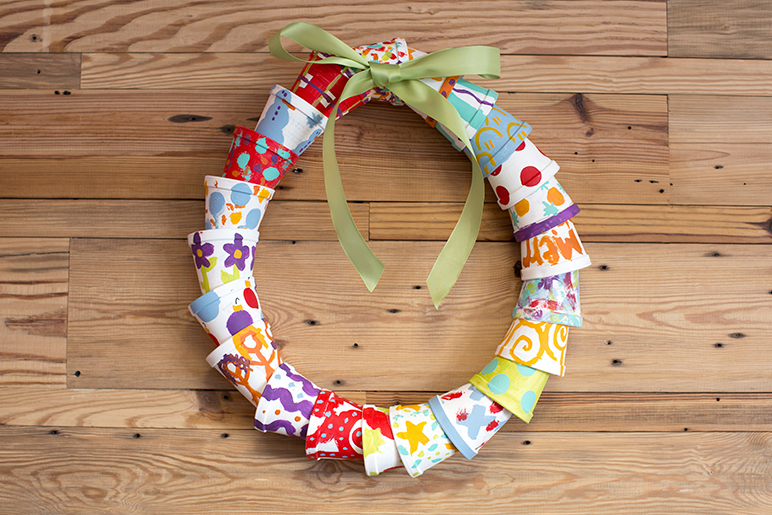 Whether you're looking for a school classroom project to kickoff the break or a way to include your kids in the festivities at home, each child can paint a cup to contribute to making a colorful, personal wreath. We recommend using 22 of the kids’ cups to form a circle. Feel free to paint cups before or after assembling them. To get started, first glue the cups together one piece at a time, aligning the beak of each Chick-fil-A logo to the lip of the previous cup so that the wreath shape forms. You may have to hold cups together for a minute or two to ensure the cups stick. Once your cups create a circle, add a store bought bow (or channel your inner elf and make your own) and hang it! 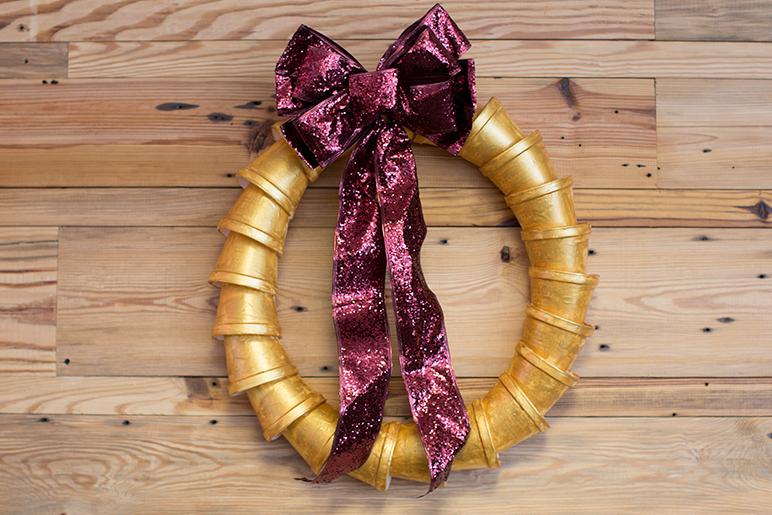 If you already have a wreath for your front door, place this one on a window, fridge, above your bed or fireplace, in your playroom or as a part of your gallery wall… the options are as long as a child’s Christmas list. 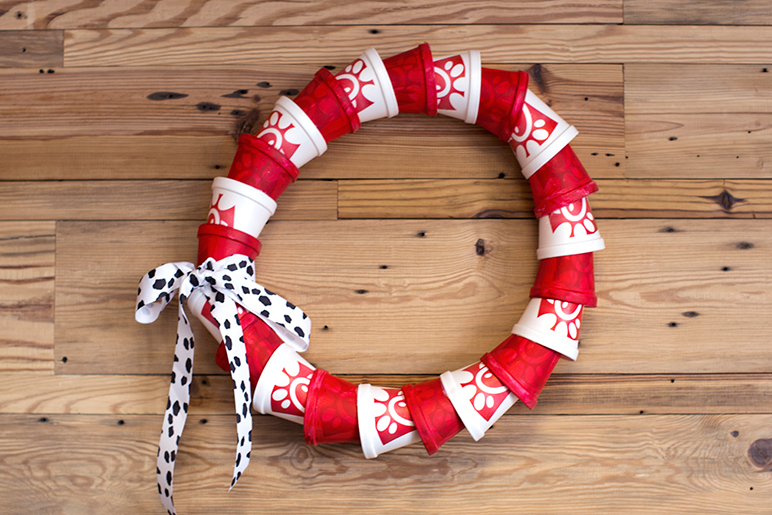 For the ultimate Chick-fil-A fan, logos and cow print make the perfect holiday decor. Want to impress others with your cup wreath? A glam option should do the trick. But trust us - you won't want to use spray paint. A few layers of a metallic acrylic paint should do the trick.